DON’T we all like our smoked salmon, grilled salmon, salmon tartare, salmon sushami and so on? Yes, we do! The agency is thisclose to allowing AquaBounty Technologies to put its AquaAdvantage GE (genetically engineered) Salmon on supermarket shelves without any labels. Let’s repeat that: WITHOUT ANY LABELS. (See video above of various celebrities supporting labels for all GE foods). This means the so-called Frankenfish will be in the fish case right next to that Altantic salmon without proper identification. The consumer – that means you – will be none the wiser. 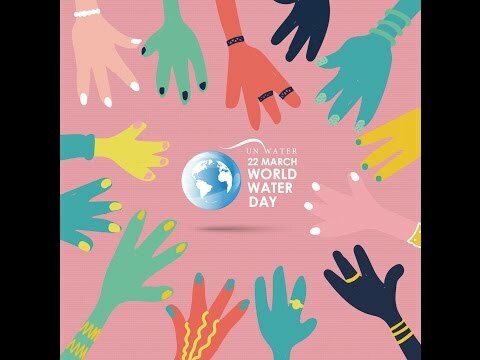 This is important because AquaBounty’s salmon is untested despite the company’s comments to the contrary. 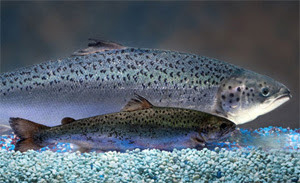 No one really knows the ill effects of GE salmon (or any GE food), a fish that is engineered to produce growth hormones the whole of the year. This salmon will be twice the size of the one that God created. Do we want food that has been engineered? Really? Let your voice be heard about GE salmon, too. Archive photo. Know anyone who takes or has taken hormones of any kind? Were there any side effects? Of course, there were! "She's hormonal," goes the saying. 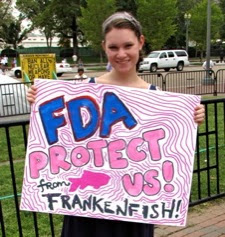 Think GE salmon tricked out on hormones will have zero side effects? If so, please shop to your heart's content with that Confederate currency. GE salmon has not been sufficiently tested. Lean on the government for the sake of your health and that of everyone you care about and love. And we won't even wade into the whole question of how GE salmon will affect real salmon and other fishes in the sea. Too many unanswered questions and too much at risk to allow a biotechnology company to thrust a fake fish on the market for the sake of a gazillion bucks. Just sayin’. (Shaking head) To think that the U.S. government will allow GE salmon at Whole Foods and Trader Joe’s and Safeway and Albertson’s and Food Emporium and A&P and Fairway and Walmart with no labels! Does anyone else have heartburn? But what am I saying. This is a government that is bought and sold by the highest bidder. Let that be you, the consumer. Something fishy is going on and it's not real salmon. Photo from Just Label It. Please join the well-meaning folks at Just Label It and ask the FDA to allow more testing and to require a label on GE salmon. It’s too fast, simple and easy not to do so. And hurry! (http://www.bit.ly/X63rBn).